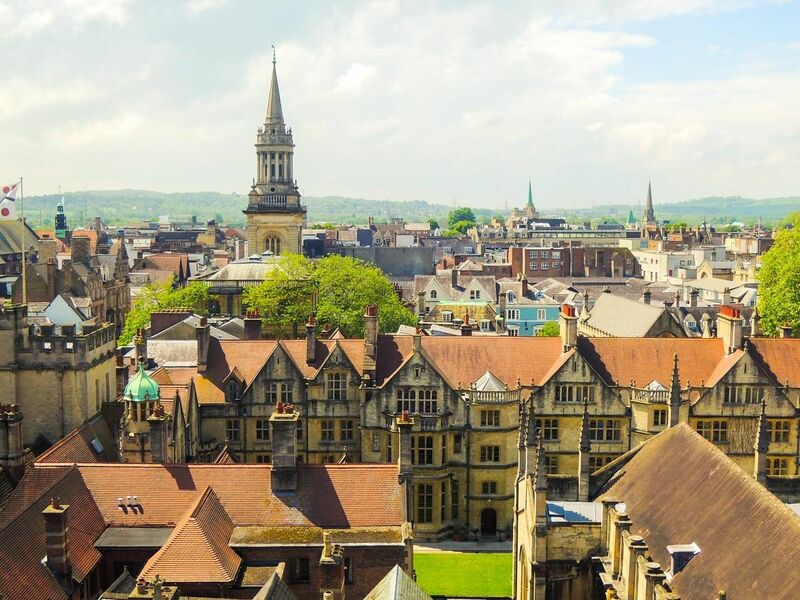 St Clare’s, Oxford was founded by Anne Dreydel OBE and Pamela Morris in 1953, and grew out of a scheme to establish links between British and European students after the Second World War. The original name was The Oxford English Centre for Foreign Students, which later became St. Clare’s Hall, and then St. Clare’s, Oxford. The College grew quickly to encompass a wide range of nationalities and programmes, both at university and pre-university level and in the English Language. In the mid-50s, students came mostly from around a dozen Western European countries, as well as the UK. Nowadays there are 50 nationalities represented on the IB programme alone. As well as longer courses of study, shorter summer courses also became a central feature of the College in the early days. Links with universities in the USA date back to the 1960s and formal agreements by which American university students could gain credit towards their US degrees by studying abroad at St Clare’s started up in the 1970s, and gradually replaced the University of London external degrees that had previously been taught. In 1977 the College introduced the International Baccalaureate Diploma for pre-university students, only the 41st school in the world to do so. There are only 13 other institutions in the world who have taught the IB longer than us. A Levels were gradually phased out as the IB became established and we are now the longest established IB World School in England. St Clare’s, Oxford remains faithful to its original mission which is to advance international education and understanding. The College campus has grown with the increase in student numbers. From its original base in 141 Banbury Road, the College expanded to allow more teaching space and a wider range of subject choices. Early homestay arrangements were largely replaced with residential accommodation as new houses in the area were acquired and refurbished, and in 1999 the College bought the Oxford Academy site in Bardwell Road, which became the International College offering adult courses. A new residence and art studio was completed in November 2015 at a cost of £5.5million. The building provides separate housing for male and female students in ensuite study bedrooms around an Oxford-style courtyard with a large square lawn. The uncompromisingly modern new buildings manage to complement the old, historic house, which is at the centre of the development. The new £3.3m Science and Mathematics building was completed in September 2014 providing three science laboratories and prep rooms, three large classrooms for Mathematics lessons, and a new maintenance facility. Named after Pamela Morris, one of the founders of the college in 1953, the building was carefully designed to complement the surrounding Victorian and Edwardian architecture. In 2008, we purchased a very large residence next to the main campus buildings. Completed in 2010 at a cost of £1.3 million, the house holds 24 students plus warden and features many energy efficient measures — rainwater is harvested, the house has been super-insulated, and the lights are motion-sensitive so that electricity is not wasted. The College continues to improve and grow. IB students are achieving their required grades and are being offered places at their chosen universities. Younger students coming to us for their summer holiday courses continue to recommend us to their friends, a clear indicator that our courses combine holiday fun with study success. Our adult students are undertaking more in-depth and challenging courses with a clear target of improving their future studies and careers. take personal responsibility for work and conduct. St Clare’s is an international, independent centre of excellence in Oxford established in 1953. We welcome students from over 40 countries. Our Business Foundation is a year-long programme that prepares you for university study at highly ranked universities in the UK, Europe and beyond.